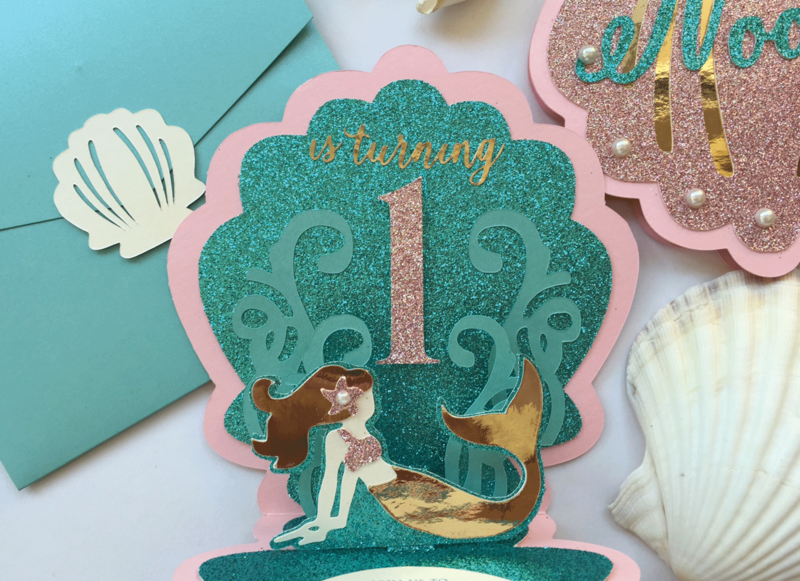 This sparkly pop-up invitation was created for a mermaid themed first birthday. 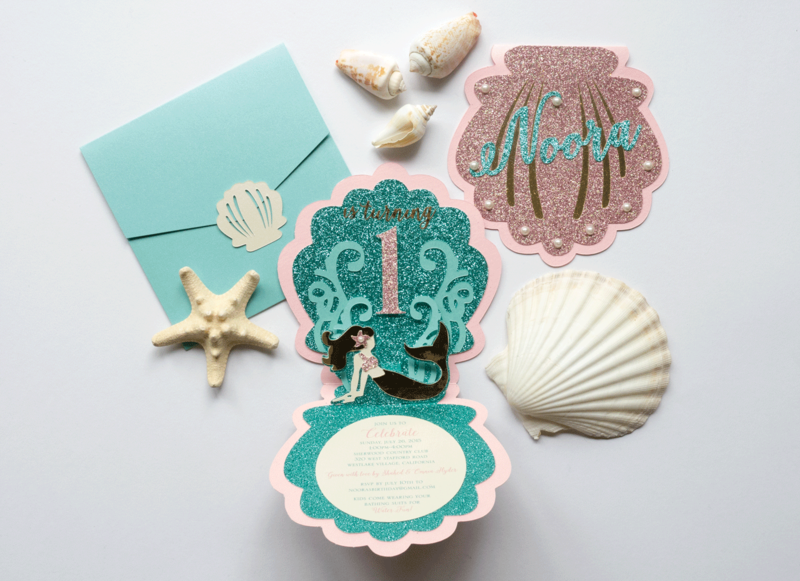 All elements of the invitation from the seashell shape, color scheme and pearl accents are reminiscent of things found only under the sea. 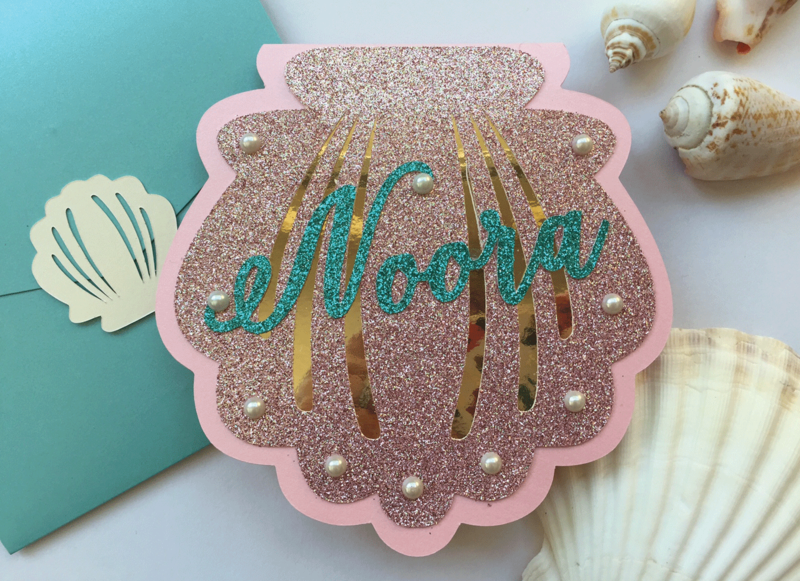 Flat printed and laser cut on metallic and glitter card stocks.